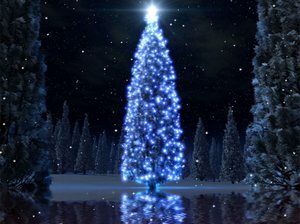 What says ‘tis the season more than animated twinkling lights on a Christmas tree and cotton-soft snowflakes drifting down from the sky? The serene lake setting just adds to the magic of the evening. See – you can see your breath misting in the air! Dress warmly.